Adult Programming & Religious School at Congregation Shir Shalom invite you to attend the fun presentation of the author Barry Joseph. 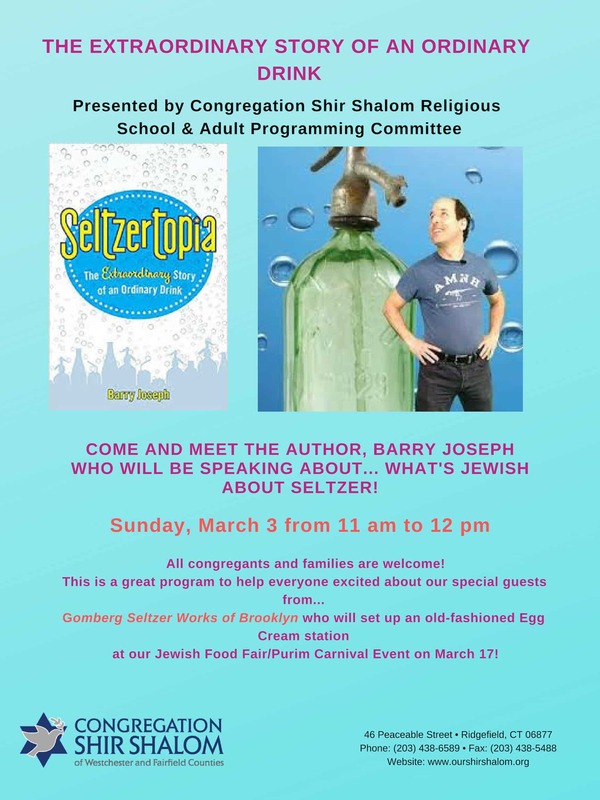 He will talk about “What is Jewish about Seltzer” based on his best selling book “Seltzertopia”. Sunday, March 3 at 11 am. Please come and support this intergenerational event.